The actor Arashi Koroku III held the name of Arashi Hinasuke I from the 11th lunar month of 1752 to March/4th lunar month of 1786. The actor Arashi Hinasuke II held this name from the 1st lunar month of 1794 to the 2nd lunar month of 1801. Born in 1791. He was the third son of the star Arashi Hinasuke I and the younger brother of Arashi Hinasuke II, Arashi Koroku IV and Arashi Koroku V. His child name was Arashi Naojirô . 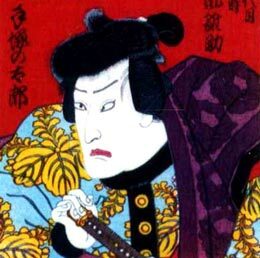 He received the name of Arashi Hidenosuke II  around 1797. He took the name of Arashi Hinasuke III in the 1st lunar month of 1808. 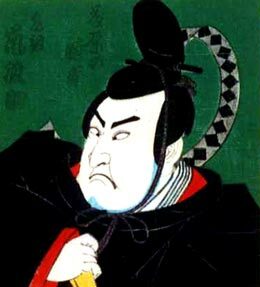 He temporarily took the name of Arashi Koshichi III in 1811. He took back the name of Arashi Hinasuke III in the 12th lunar month of 1812 and went to Edo in the 2nd lunar month of 1813, performing at the Ichimuraza up to the 7th lunar month of 1813. He died the 17th of the 9th lunar month of 1813 . 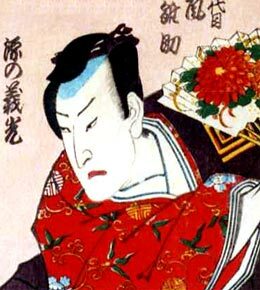 The actor Arashi Koshichi IV held the name of Arashi Hinasuke IV from the 3rd lunar month of 1825 to the 10th month of 1831. 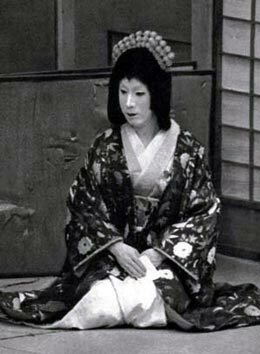 The actor Kanô Hinasuke III never held the name of Arashi Hinasuke V but he was acknowledged as the 5th holder of the name. The actor Arashi Hinasuke VI held this name from 1858 to the 2nd lunar month of 1872. The actor Arashi Sangorô VI held the name of Arashi Hinasuke VII from February 1873 to December 1874. The actor Arashi Hinasuke X held this name from February 1943 to January 1986. 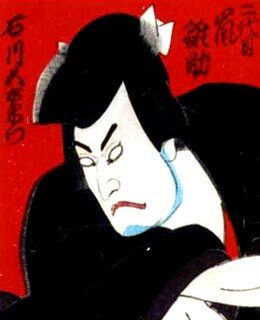 In Nojima Jusaburô's book "Kabuki Jinmei Jiten", it was reported that this actor started his career in 1800 in Ôsaka in kodomo shibai, performing under the name of Arashi Kosaburô, not Arashi Naojirô (which was the first name of Arashi Hinasuke IV). For this actor, we decided to stay in sync with the latest edition (2012) of "Kabuki Haiyû Meiseki Benran". 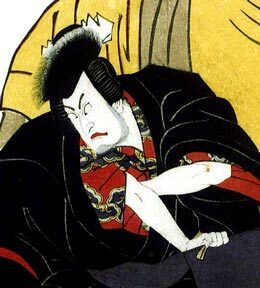 In Nojima Jusaburô's book "Kabuki Jinmei Jiten", Arashi Hidenosuke II was the second name of Arashi Hinasuke IV, not Arashi Hinasuke III. The 17th of the 9th lunar month of the 10th year of the Bunka era was the 10th of October 1813 in the western calendar.